On Jan 16, 2019, at 2.35 a.m. the "BBC Livorno" suffered problems with its engine exhaust, in position 49 44 21.6 N, 004 17 42 W. The vessel needed to cool its engine before starting repairs. It required approximately 90 minutes to complete repairs before the ship resumed the voyage from Newport, UK, to Antwerp with an ETA as of Jan 17, 4 p.m. The "Flinter Trader" which had been docked in Fos-sur-Mer since Oct 27, 2016, , was released from its seizure on Nov 14. The Philippine seafarers' agency, which represented ten sailors - six still on board, four recently disembarked - has received the money requested. While the seven Russian sailors on board had confirmation of the payment of wages in October, the Filipino crew had no confirmation of the payments. There remained doubts whether the ship would leave port, as the food was at its lowest. The engine needed spare parts and the crew feared having to join the "Flintermar" or the "Flinterduin", two cargo ships of the Dutch company Flinter, which are lingering off Gilbraltar. 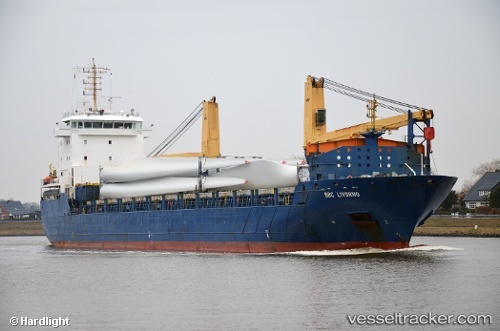 Several freighters have been able to return to the Netherlands sicj as the "Flinter Aland", "Flinter Artic", "Flinter America" or "Flinter Rose", but others were still waiting, such as the" Flinter Atlantic" in Constanza or the "Flinterdijk" in Bayonne since Oct 21. 65 shore-based employees and 54 sailors were fired after the company got in financial trouble. On Novr 9, the district court of Rotterdam registered the bankruptcy of the Flinter group.